If your WFA server is a key component in your environment, you will want to have backup. Now WFA takes backups every day (keeping 5 versions), but I was always told : a backup is only a backup if it's in a different location. So I created this PowerShell script a while ago to automate a backup/restore. You call it a synchronization script if you'd like. Now, before you start, you install WFA servers on 2 different locations and you make sure they are on the same version. Second, as you might know, WFA has a credential store. These are encrypted with a key. You need to make sure those keys are identical. These are in fact the steps required for every backup/reinstall/restore. Write-Output "Creating backup [$BackupUrl] -> [$BackupPath]"
Write-Warning "Invalid credentials specified, cannot take a backup"
Write-Output "Restoring backup [$BackupPath] -> [$RestoreUrl]"
Write-Warning "Invalid credentials specified, cannot restore backup"
Write-Warning "Restore partially failed, could not restore toolkits"
Is there a Perl version of this? We run WFA on Linux and are looking to push confiugrations from dev, to test, to prod. Any suggestions for the "Failed to restore toolkits"? I'm getting similar errors if I do a manual backup / restore from Host A to Host B.
had them too. will ask the product team. Did you get any feedback on this? Thanks... They're both the same right now (both 2012 boxes), they were built at the same time. I was getting the same error outside of PS, just copying over the backup and doing the restore via the GUI. I'll give it another go... I guess I could open a case too. So some feedback on this. 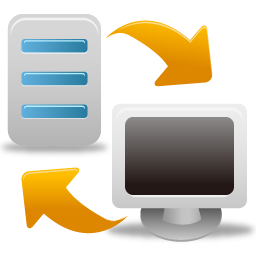 If you take a backup and have a look in the zip file, there are 3 things there : the sql dump, a zipped backup of the workflow help directory and a zipped backup of the perl/powershell module directory. In that directory there is the netapp powershell toolkit. It's that piece it complaints about somehow. I assume it's a lock on some files. It can definitely be ignored.